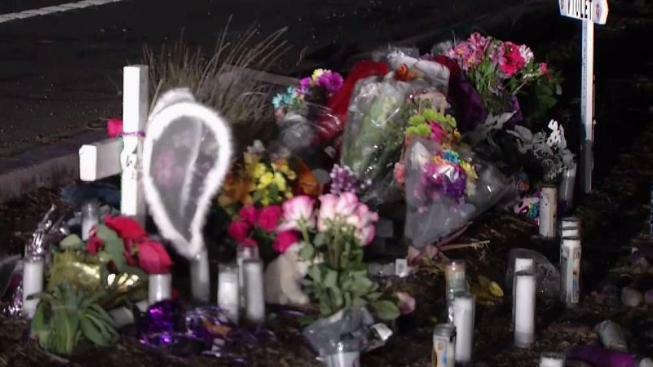 A group fighting against drunk driving is pushing for better enforcement of existing DUI laws in the wake of two deadly East Bay crashes suspected of being linked to alcohol. Kris Sanchez reports. A group fighting against drunk driving is pushing for better enforcement of existing DUI laws in the wake of two deadly East Bay crashes suspected of being linked to alcohol. A man driving on a suspended license due to a prior DUI conviction is suspected of causing a crash in San Pablo last weekend that killed four people, and another driver was arrested on suspicion of drunk driving following a crash in Livermore last week that has resulted in two deaths. Mothers Against Drunk Driving, also known as MADD, says tougher laws need to be enacted because they say repeat offenders can be deadly on the roadways. "For multiple or first time offenders there are crashes that do occur but mainly we really want to track and watch those multiple offenders because they’re 70 percent more times likely to injure or kill somebody on our roadways," Natasha Thomas from MADD Bay Area said. During the Thanksgiving holiday, California Highway Patrol officers arrested 186 suspected drunk drivers across nine Bay Area counties. When it comes to California's DUI laws, MADD gives the Golden State 3.5 out of five stars on its ratings system. California ranks first in insurance rate increases for DUI drivers, fifth in DUI jail time, sixth in driver's license suspensions and 31st in prevention measures.